I think it is one of the prettiest teas I have ever seen. Don't you love it when you get exactly what you are expecting? Sometimes vendors will take pictures with huge chunks of fruit or full flowers to entice you to buy their tea. When you open up the package, what you see is crumbled up fruit or disintegrated flower petals. Not so with Ito En. What you see is what you get . My tea came with full rose buds, delicate but not crushed. 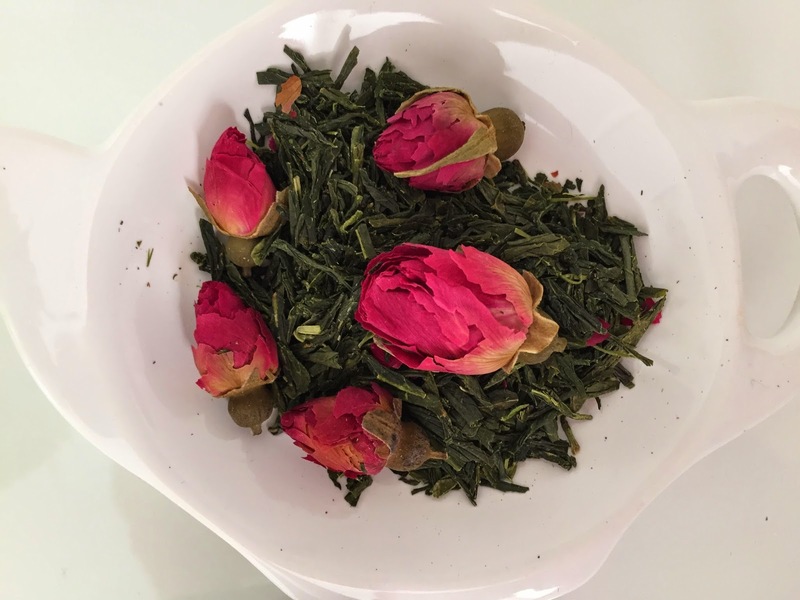 I was so happy to see the bright pink blossoms cradled between all the green tea leaves. Look at those huge rose buds! How do they retain so much color after they dry? The rosy scent of the tea is extremely subtle, hardly noticeable actually. I smell more lush, grassy green tea than floral rose. It is similar in taste, extremely subtle hints of rose. It is more like a sencha than anything else. 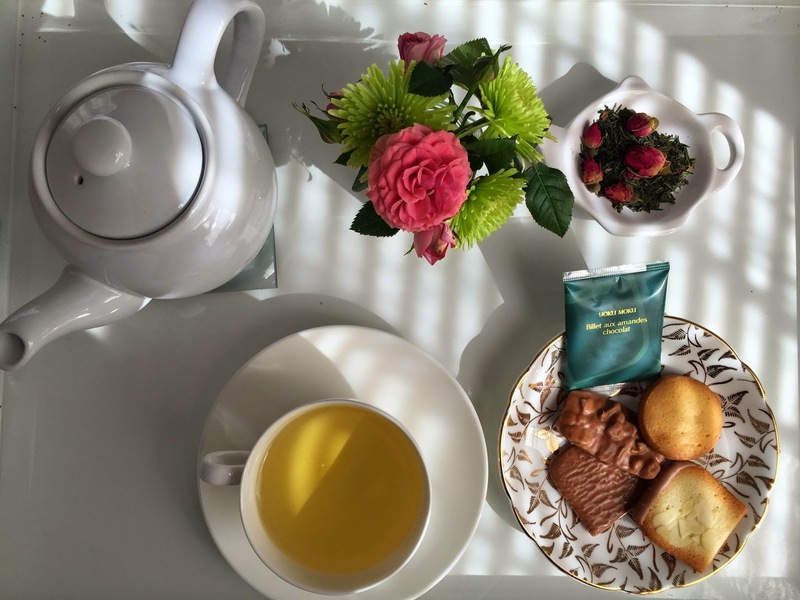 It just adds a bit of jazz to my everyday house sencha (when I am feeling wild and want to mix things up...). 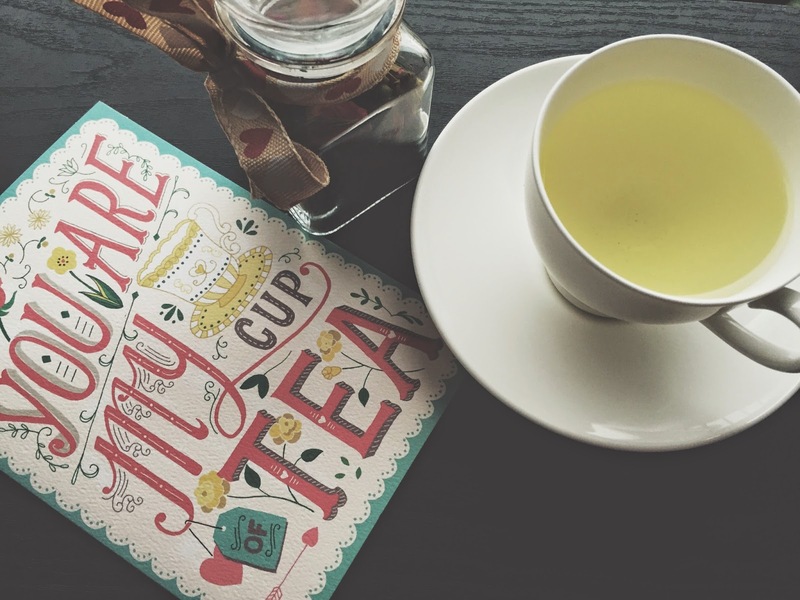 It would make the perfect gift for that special someone who loves green tea but not overly strong floral tones. 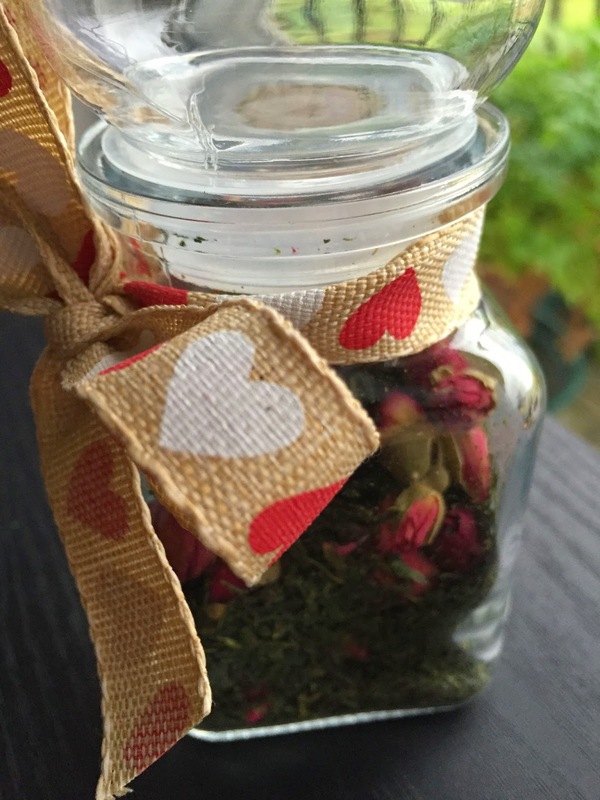 It is very pretty so storing it in a glass jar with a cute ribbon makes for super simple and adorable gifting. My other recommendation for Valentines day tea is this Chocolate and Strawberry Puerh from Lupicia It is rich and robust. It also goes perfectly with those Valentines day chocolates you are bound to receive. 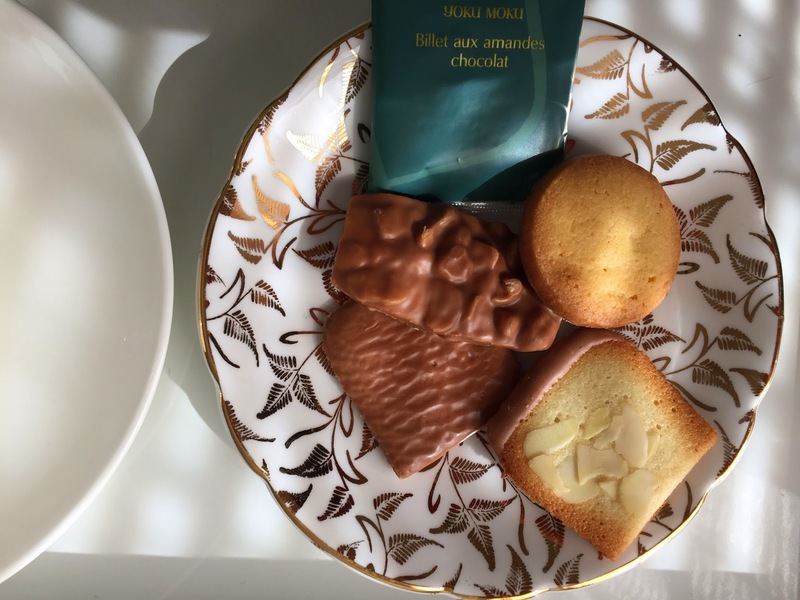 Chocolate Yoku Moku biscuits are also ideal Valentines Day gifts. They go perfectly with all kinds of tea. A pretty ribbon makes such a statement!